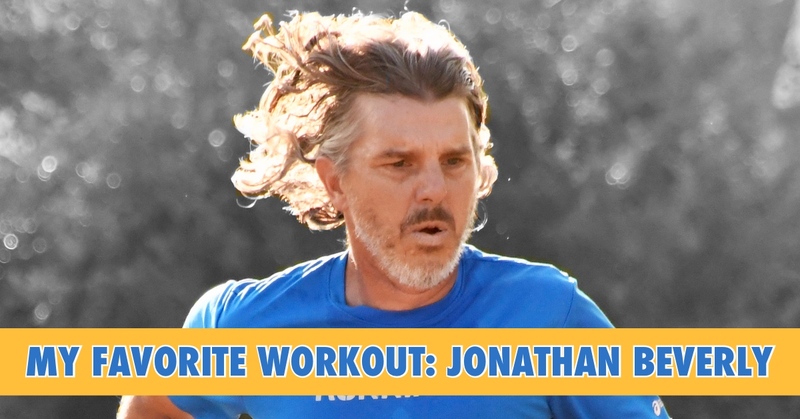 I asked Jonathan to participate in the “My Favorite Workout” series because every time he edited one of my pieces at Running Times I found his suggestions and insights to be helpful, practical, and useful to a wide range of runners. I hope that you find the thoughts he shared below useful in your own running. What is your running history in four sentences or less? I started running in fall of 1977 as a freshman in HS. I quickly found I did better the longer I went, and ran my first marathon in 1980. All my PRs came in my 30s when I was living in New York, putting in more miles, doing workouts with fast friends and coaching with Bob Glover at the NYRRC. Now 20 years past my marathon PR (2:46) I’m still chasing it, trying to improve during each season while savoring each run—the chance to go fast, to go long, or just to get out and go with my dogs. I’m always on the lookout for good training hills. This one (called Reeve’s Hill after the name of the family who lives at the end of the road) is only 2.5 miles from my house, but in a decade I had run it only a few times as it is on a dead-end road. I had been thinking it would serve well for repeats, however, so the day after Tom Fleming (two-time NYC Marathon champ) died (April 20, 2017), I ran over to the hill, did the workout, and circled back for 10.5 miles total. I thought it appropriately long and hard in his honor, although he would have found the day’s work tame. 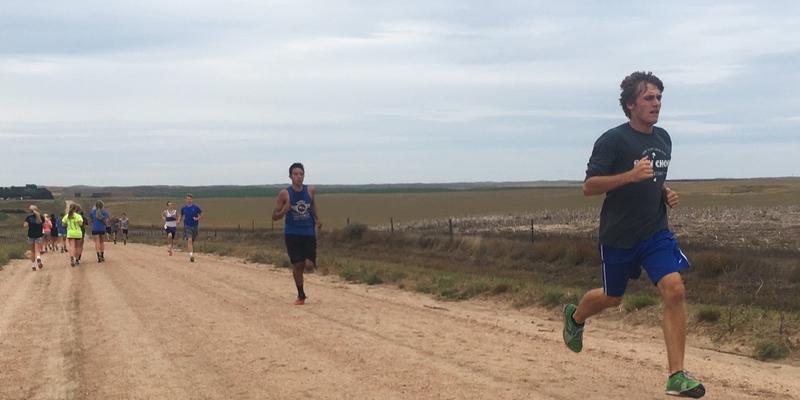 I’ve done similar workouts on other hills since high school, so I suppose I learned it from my high school coach, the late Anne Norton, who likely learned it from reading Arthur Lydiard. I like doing this in early mid-season, after you’ve built an adequate base, around the time of your first races or tune-ups. It is specific enough to make you feel ready to race well, but the intervals are not so long as to get deep into anaerobic work and speed your progress toward a peak (or over the peak). It builds leg strength and stamina and improves the muscles required for good running form. I use it for high school runners training for a 5K, but it works equally well as a V02Max and leg-strength workout if you’re training for something longer. I was marathon training the first time I did it, so I added miles before and after to enhance the endurance effect. What do you like so much about this workout? The grade is tame enough that you can run it at your current 5K race pace, reinforcing rhythm and mechanics but getting an enhanced cardio workout. The distance is long enough to get into aerobic stress but not get too acidic. Each interval mimics the stress and emotions of a race: you’re drawn out too fast on the flatter first section; as the hill gets steeper you panic a bit and have to regroup and keep your rhythm; on the body of the hill, you have to ignore how far away the top looks and find the resolve to breath hard, settle into the work and keep rolling; cresting the hill lightens the load, letting you speed up as you maintain the effort through the finish. While recoveries are long enough to make each repeat aerobically fresh, leg fatigue compounds later in the workout and requires focus and resolve to finish each ascent tall and strong. What are the key things to know before trying this workout? Besides working physical systems, this workout excels at bolstering mental toughness. Recognize that the discomfort will appear earlier on the hill with each subsequent repeat, and that you are causing it and choosing it by pushing yourself. Embrace that choice; get comfortable with the discomfort. End the workout knowing that you are in control—not the fatigue nor the voice that listens to the fatigue, doubts, and backs down. The beauty of the workout is that the hill seduces runners into a level of stress beyond where they would push themselves on the flats, and, in the end, gives them the confidence—and the legs and the lungs—to race faster.